Edinburgh Roofing Services specialise in all aspects of flat roofs from flat roof repairs and maintenance to complete new flat roof installations. Roofers employed by us undergo continuous training schemes to keep up to date with all aspects of flat roof technology and products. Sheeting & Cladding - The majority of larger projects such as industrial units and warehouses call for composite panelling or twin skin metal sheeting systems that are fixed to the steel framework quite often without any brickwork in place at all. 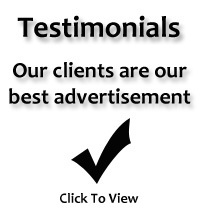 We only use the highest standard materials for this type of work. Residential - Edinburgh Roofing Services are highly skilled and experienced to carry out all residential roofing projects. Please contact us with your requirements. Roof Refurbishments & Maintenance - We have completed many refurbishment projects to the specifications of the customer from start to finish. If you're not sure whether your particular works are able to be approached as a refurbishment project or not, please contact us. Built Up Felt Roofing Systems - Through time traditional felt roofing will begin to fail. Built up felt roofs require a protective surface to prevent damage by UV Radiation, human traffic and other forms of impact. Asphalt is a natural product which has a lifespan and the purpose of the finish is to delay degradation. 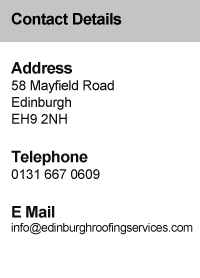 Edinburgh Roofing Services are flat roof specialists. Gutter Clearances & Renewals - Edinburgh Roofing Services offers roof and gutter maintenance, this in the long run is more efficient at saving companies thousands of pounds as unmaintained gutters and roofs can lead to leaks and even flooding causing major disruption to businesses. Fascia & Guttering - Think of the time and money you can save on painting your home, or repairing / replacing rotting fascias / soffits. This can all be a thing of the past if you replace your fascias, soffits, barge board, guttering or cladding with low maintenance PVC-U building products. For further information and advice on our flat roof services, please contact us.